This standard RS232 to RS485 converter is a simple and economical solution for most applications requiring a reliable and easy setup. 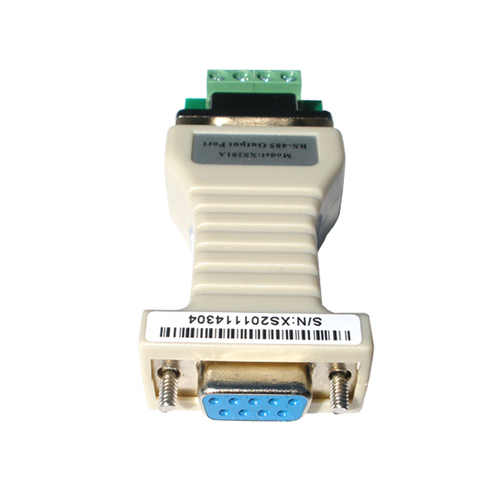 Simply connect it to your RS232 port, connect the wires to the RS485 side and you are ready to go; Automatic Send Data Control is enabled by default so no drivers or other software is required. You can use it with point-to-point or point-to-multipoint networks. This RS485 converter is port-powered which means that you don't need to supply it with an external power supply, unless your RS232 port doesn't provide sufficient power (most ports do). If your RS232 port doesn't provide the required voltage to power the unit you can easily connect a 5 to 12V DC supply to the terminal header on the RS485 side of the converter. 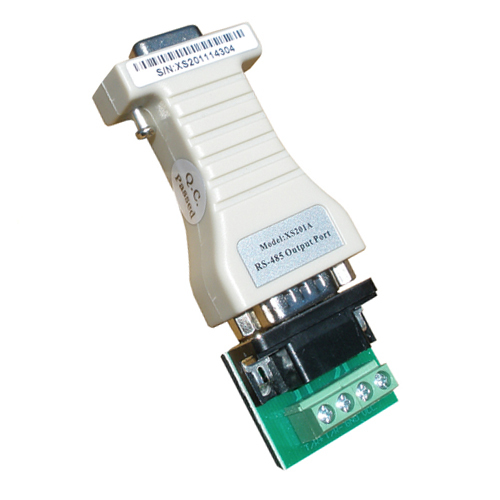 Bi-directional communication is enabled which means that you can communicate / convert data signals in both directions, from RS232 to RS485 and from RS485 to RS232. 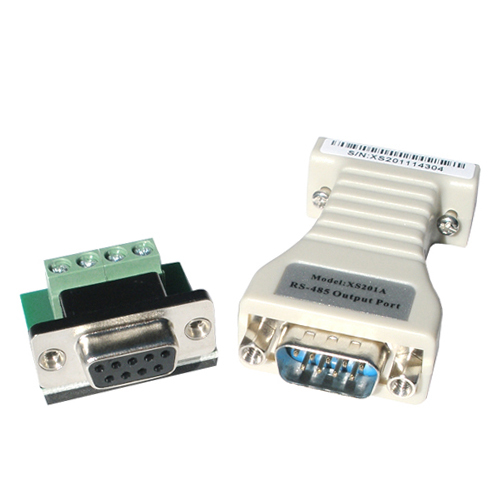 This converter has a DB9 female connector at the RS232 side and a DB9 male connector and an optional terminal header at the RS485 side. The terminal header makes it easy to connect individual wires to the RS485 side. When choosing a RS485 converter it is important that the processor chip is reliable and stable. This converter is designed around the MAX485E serial chip from Maxim/Dallas Semiconductor, one of the most popular and reliable chips on the market which will ensure reliable data conversion for years. The supporting output chip is a Philips HEF4093. 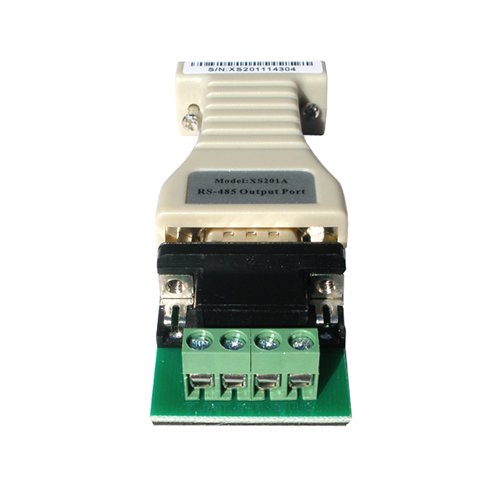 This RS232 to RS485 converter can be used for most applications including laboratory, industrial and commercial use but notice that this RS232 to RS485 converter is non-isolated, it only has protection against static electricity and other fast high-voltage spikes. For industrial use we recommend isolated converters to prevent damage to your communication ports, devices or the converter. 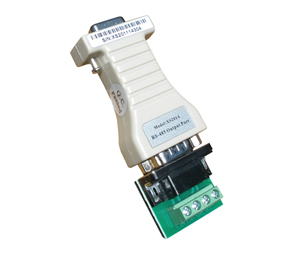 Please see our selection of isolated RS232 to RS485 converters if you require full optical isolation between your devices. Pins 7 (RTS) and 8 (CTS) are tied together. Pins 4 (DTR), 6 (DSR), and 1 (CD) are tied together.